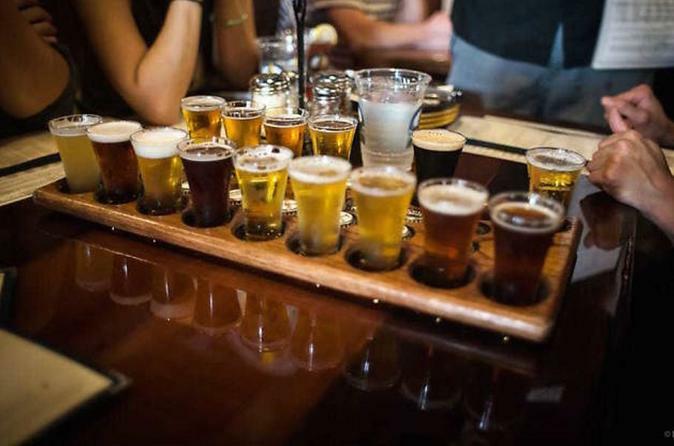 Enjoy a private brewery tour of the breweries in the San Francisco Bay Area. Select the breweries that you want to visit, and let us take you there. Our private group guided brewery tours of the San Francisco Bay Area are organized so that only those people who you want on your tour experience will be present, so on this tour, you’ll share your day with a few other friendly, beer-interested travelers of your selection. This will be an intimate, yet social, and light-hearted journey through the breweries in the San Francisco Bay Area. We’ll show you three – four charming, small to medium-sized wineries (many of which are still family-owned), with a well informed tour guide. You will experience the most professional service and carefully planned itinerary to meet your interests. Your trip will be filled with style and comfort while providing you with the ultimate personal experience. Professional chauffeurs and experienced tour guides will make your experience interesting, unique, and memorable. We specialize in customized, all-inclusive tours. Unique excursions, cultural exploration, and historic landmarks from the well known to the obscure. You can choose from a selection of tour packages or fine-tune a tour to suit your particular needs with unlimited options for customization and maximum accommodation. We will work around the clock to give you a personal experience making your trip extraordinary and memorable. We cater to friends and family celebrations, corporate events, and visitors from all over the world. We are a family-friendly tour company and sometimes cater to your pooch. Start your adventure here with us.